Editor’s Note: This post has been updated on 12/3/18 to reflected the rebrand of Werrell Woodworks to STAY by Cori Samuel. The article below features images and commentary from their prior location. You will find the updated website, location, and contact information at the bottom. We wanted to keep the original article’s integrity while providing accurate information. Congrats to the Werrell’s on the growth of their brand! 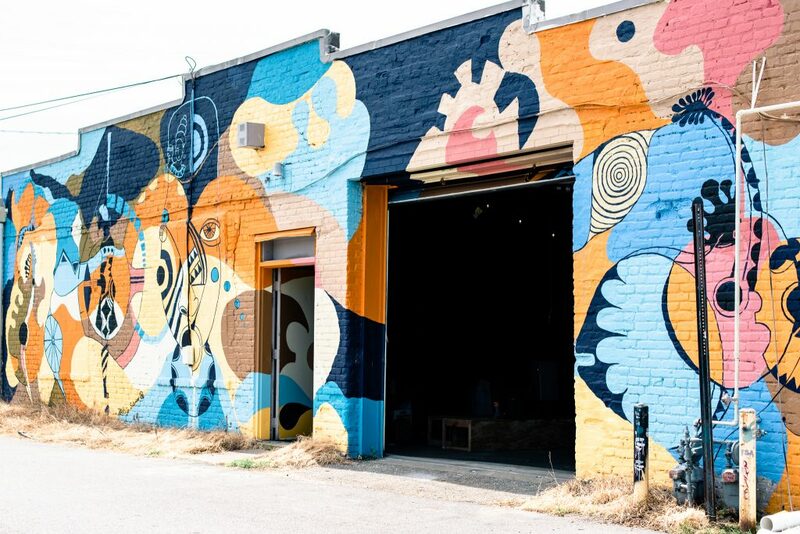 If you venture into Norfolk’s quickly expanding NEON district, among its many wall murals and new restaurants, you may stumble across the inspiring workspace of Sam and Cori Werrell. 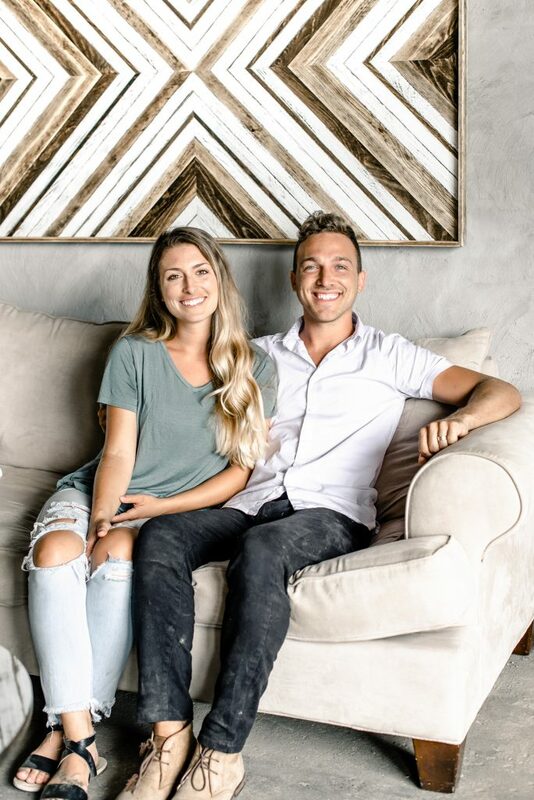 With beautiful wood pieces, comfy seating, and string lights cascading across the airy, 2,000 plus square foot warehouse, you will find this entrepreneurial husband and wife duo hard at work delivering custom art that their fans, followers, and customers can’t get enough of. 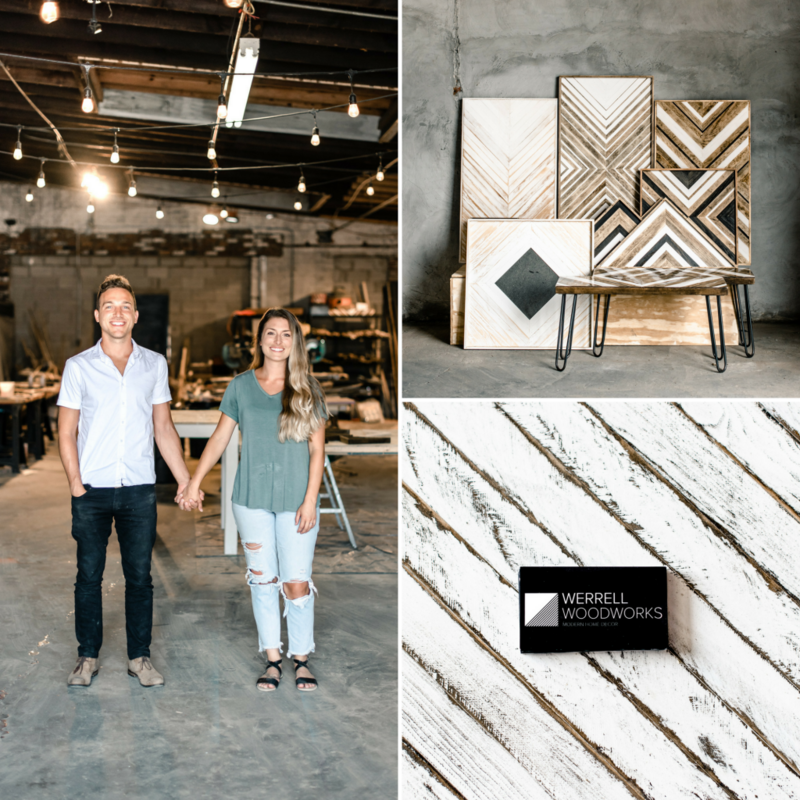 Aptly named, Werrell Woodworks (now STAY by Cori Samuel) is a modern home décor shop that creates art, furniture, and fixtures for modern beachy houses and the upscale modern farmhouse. About three years ago, Cori was working full-time as a nanny, and Sam was working night shifts with UPS, getting home around midnight. Like ships passing in the night, quality time for the newlywed couple was a constant struggle. “After dating for 4 months, and an engagement of only 3 months, we were still trying to get to know each other and get in the swing of our marriage. We’d leave each other notes around the apartment, but Saturday was our only day together,” says Cori. Around that time, Sam got resourceful when Cori mentioned wanting a piece of artwork to fill the empty space above their couch. He sought the help of his father, a master carpenter, in a DIY project for Cori. His dad showed him how to cut the wood, how to work the angles, and how to use the equipment. “Sam has always been creative – he played drums and traveled all over with a band in an RV, but he wasn’t handy. I’d never even seen him use a tool before,” Cori tells us. Yet, that same weekend, Sam brought home what could be considered the first ever piece of Werrell Woodworks art. Shocked and in love with it, Cori posted a simple photo to her personal Facebook page, wanting to thank Sam and share the décor with family and friends. Almost immediately, comments rolled in with requests for similar pieces. Sam quickly began exploring the idea of creating more artwork. 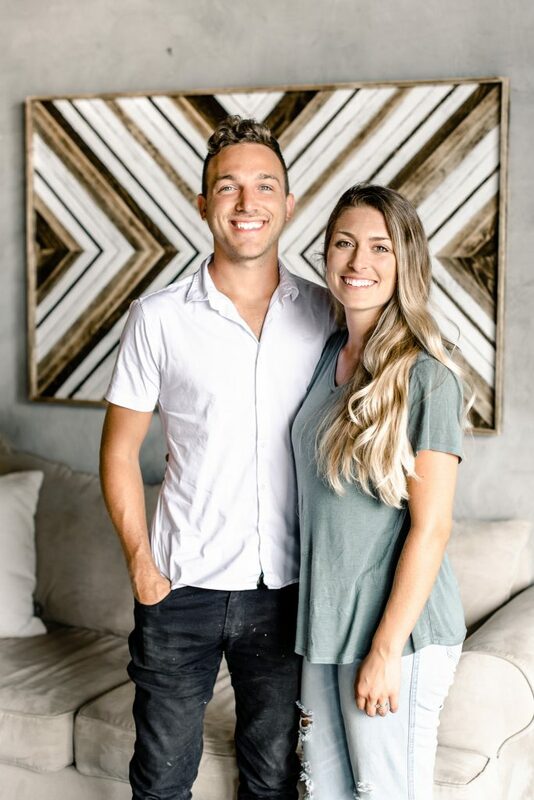 Together, they prayerfully decided to invest an initial $500 on tools and materials, thinking that any extra income could be put towards Cori’s student loans. His first workspace was their third-floor balcony, which lasted about two days before receiving a few complaints from neighbors. 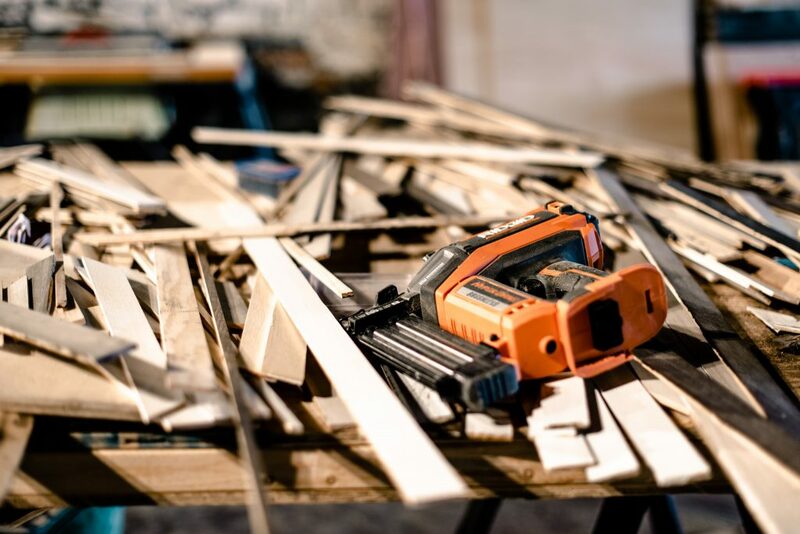 “Since that didn’t work, I called around and found a storage unit that approved of using power tools. The space was 250 square feet. It was tight,” Sam recalls. Working two jobs at the time – both for UPS and for the landscaping company of a close friend, Sam would drive to the shop between shifts and recruit Cori to help paint and stain on the weekends. Cori recalls being petrified to touch any of the tools. But after Sam later showed her how to use the nail gun, she described the feeling as liberating. “It’s still so crazy to me – I was the girl who failed art class in middle school. I’ve always had a lot of roadblocks to art and creativity. Honestly, I felt discouraged growing up. I could barely draw a fish or a wave,” Cori expresses. 3 months later, after selling their third piece (for somewhere around $50 at the time), Sam made the leap, leaving his job and benefits behind. “It doesn’t make sense that we’re running a full-time business after filling a blank space on the wall. But God has dropped the creativity in our lap and trusted us with the gifting, so we’re going for it,” Cori tells us. Sam continues, “Don’t get me wrong, I definitely had some fear. We often still do. And there were tons of people advising me against it. But I was running out of steam and I knew I had to make a decision to really focus my energy and give it a chance. I’ve always been a little bit rebellious in a way – it’s probably best that I work for myself,” he laughs. “Although none of it was planned, you could say the original why behind our business was being able to spend more time together. 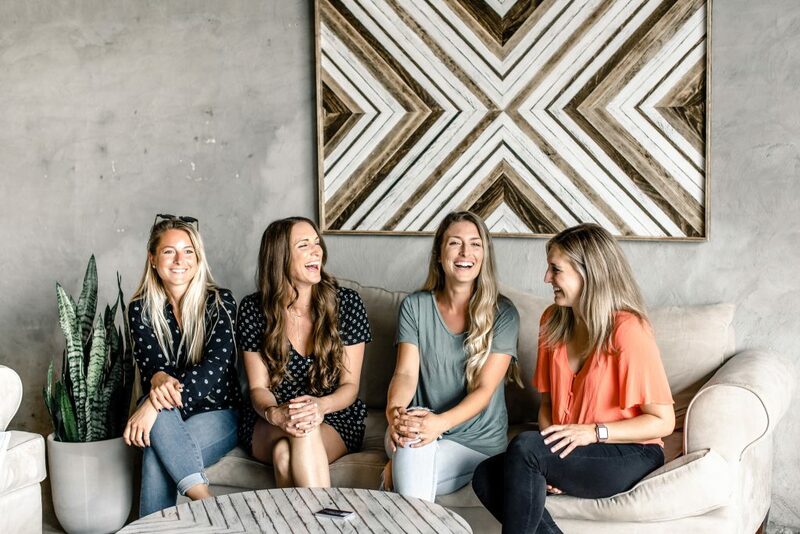 Even though I have a degree in Counseling, neither of us wanted to climb the corporate ladder and live our lives exhausted all the time,” Cori adds. 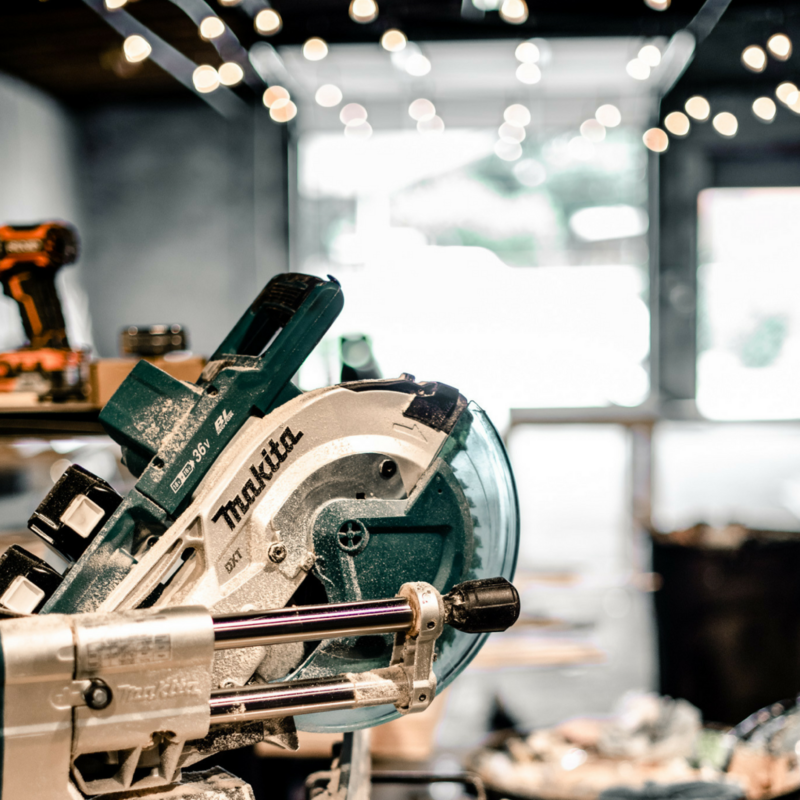 Since its humble beginnings, Werrell Woodworks has done a pop-up at West Elm in Town Center of Virginia Beach, been locally televised, and even held a coveted spot at Selden Market – Norfolk’s start-up incubator for retail-based entrepreneurs. “We’d psyched ourselves out of even applying to the Selden Market. But then, while checking my email during a conference at our church, we received an email from Selden’s Director, encouraging us to apply based on referrals she’d received. We then jumped at the opportunity. When we later found out we got in, we were on cloud 9 for weeks,” Cori recounts. “We really felt like it was a door that God had opened for us,” Sam adds. 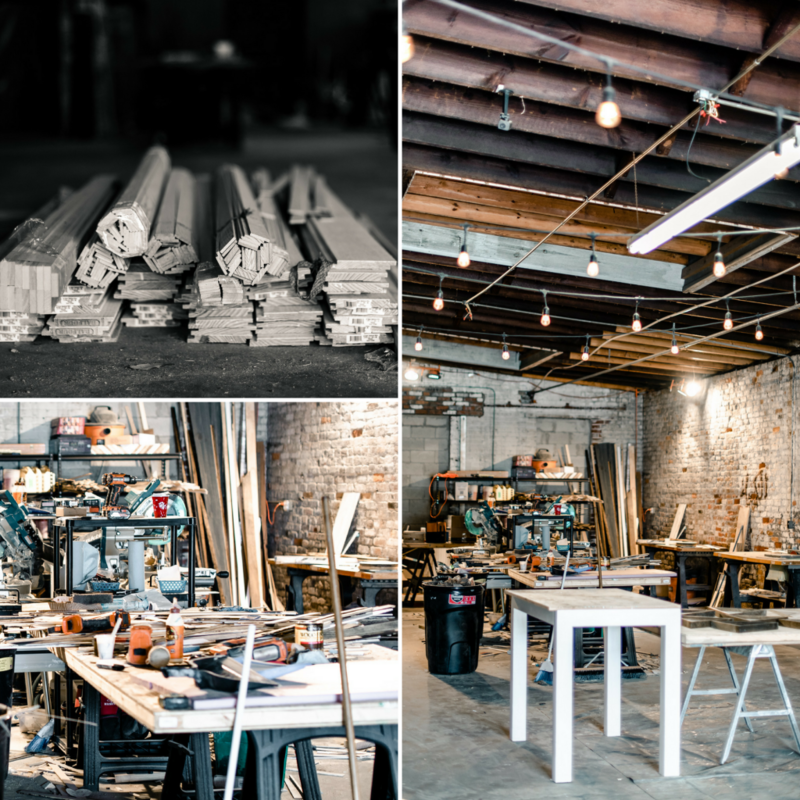 Getting into Selden Market took Werrell Woodworks to the next level. Friends and family members who’d previously doubted their career path were now on board. “All of a sudden all these people were rallying around us with support,” Cori shares. “Although the days and months to follow were some of our longest. We worked 16-hour days every day for the 6 months we were there. We’d be up until 3am and we were eating out all the time. We lived and breathed the business,” Cori admits. 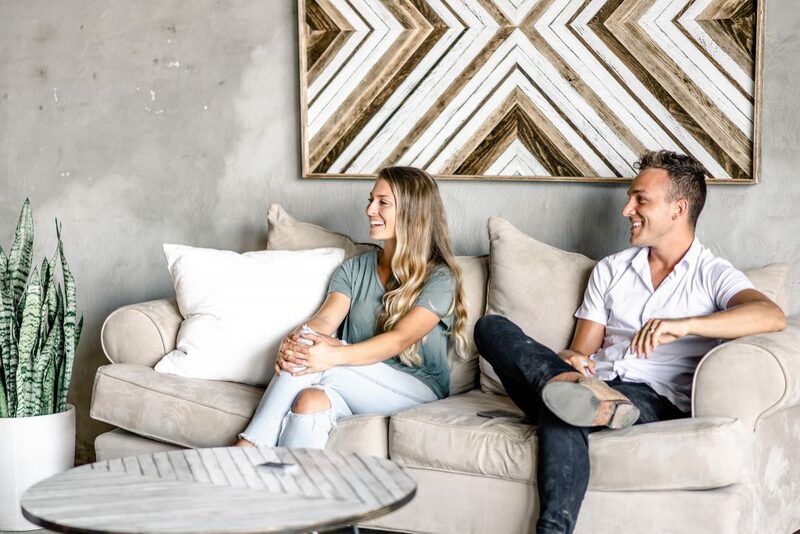 Like most entrepreneurs, the Werrells have had to learn how to balance the hustle and know how to read each other and respond to each other’s needs. Being a part of Selden Market as a retail-based business was a major highlight for Werrells, and it also presented their greatest obstacle – coming out of it. It required a total shift in the way they’d been operating. It didn’t seem to make sense to dive into signing a lease somewhere without the same foot traffic that Downtown Norfolk offers. So, they patiently explored other models. Eventually, they were presented with an available warehouse-type space within Norfolk’s NEON District that they’ve been able to make their own. It’s over eight times the size of their original storage unit, and four times bigger than their shop in Selden Market. “Owning this business has definitely made me more open to the ebbs and flows of life and the flexibility it requires. We both experienced a lot of ups and downs growing up. I’ve had to throw some normal ideals of security and comfort out the window and instead, trust in God and his movements,” Cori says. As the arguably ‘more creative’ one, Sam has taken the lead in a new season of finding their voice and expanding their product line and collections. “My strength lies in being able to initiate the idea, plan the design direction, and outline the textures and materials. I’m always thinking of things in pairs and series – I believe everything affects one another. I tend to care about the details no one else would notice. It has a lot to do with balancing chaos and order. I see the rainbow, whereas Cori sees more in black and white and helps reel me in,” Sam tells us. The Werrells also have plans to continue enhancing their presence on Etsy and move towards a self-hosted website in the near future. For now, Instagram serves as their primary portfolio and form of communication. With only 5-star reviews across Etsy, and more than 24K engaged Instagram followers, we can understand why. When they’re not woodworking or delivering custom orders, an ideal day for Sam and Cori would be getting lunch at Mr. Schwarma’s off 21st Street in Norfolk (they’re regulars), followed by picking up vegan ice cream at Ben & Jerry’s and taking it to the beach. Then, the night would most likely end with a Beyond Meat burger at Whole Foods. They consider themselves total vegan foodies. 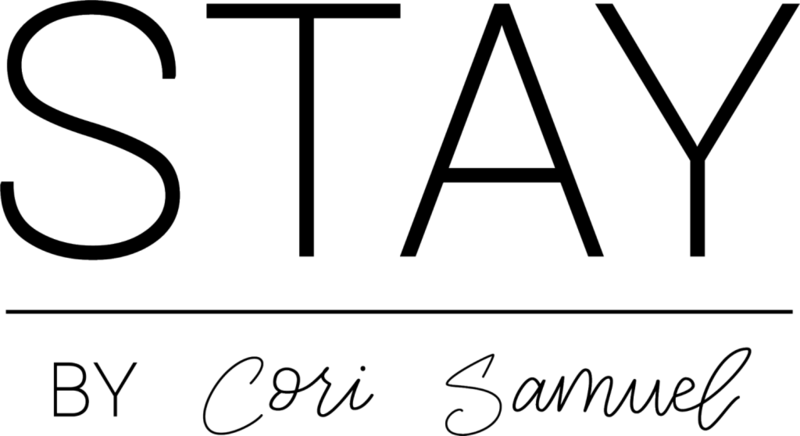 You can connect with Sam and Cori Werrell on Instagram, on their website – staybycorisamuel.com, or by visiting their new showroom on Saturdays from 12-4pm, or by appointment. You’ll most likely come away with a stunning new piece of art and an even better sense of the people who made it…we certainly did.